Cupcakes are more than just small cakes; when done correctly they can be individual masterpieces. LoveToKnow Cake Decorating has the information and ideas you need to make your own cupcake creations. Holidays: From Santa cupcakes to Halloween witch cupcakes, plenty of great ideas are available to make any holiday special. 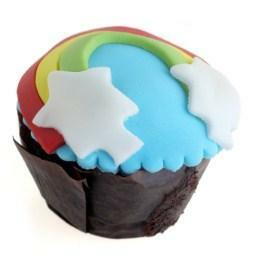 Birthdays: Cupcakes are perfect for classrooms or parties anywhere. Get ideas for birthday cupcakes or make a birthday cupcake cake. School events: From the 100th day of school to school spirit days, there are lots of reasons for bringing cupcakes to school. Learn to make your cupcakes fit any school occasion. Characters: Making fun characters, from Elmo to ladybugs, is possible using cupcakes instead of a large cake. Wrappers: The wrapper is an integral part of many cupcakes. Get information on printing your own designs, or where to get them for a discount. Displays: Cupcakes may be individual, but they need a way to bring them together and show them off to their best advantage. Learn about the various stands and displays available for use. Decorations: From sprinkles to toppers, the decorations are often what sets a cupcake apart. Get the information you need on the types of decorations available to you. With the information and ideas available to you on LoveToKnow Cake Decorating, you'll have no trouble getting inspired to whip up a batch of cupcakes. Take a look at some of the ideas available and start baking.